Traveling opens your eyes to a new way of living. Every city, each person, and every culture has its own story to tell. And sometimes you fall in love with the unknown and vow to return, which you do, over and over again, until it loses its spark. So now what? Here are eight underrated places to visit where you can get exactly what you’re looking for on the roads less traveled. You could use some colour in your life. Look familiar? Bolivia has a similar landscape to Istanbul, with surprisingly a lot of action going on. The beaches aren’t that spectacular but then again, it’s gives you a good chance to explore the rest of the city. You’ll find blood-red lakes like Laguna Colarada (it’s red because of red sediments and algae in the water), volcanoes, and the world’s largest salt flats. 80 percent of the population are made of indigenous people so there’s still a strong sense of culture in Bolivia. Why you should go: If you dare, there’s also the “world’s most dangerous road” North Yungus (okay, we won’t lie — the locals call it the “Death Road”). But if you’re up for it, you can take a bike trail along the steep road, where some parts just three meters wide and begins at the height of 4.5 kilometers. Look familiar? 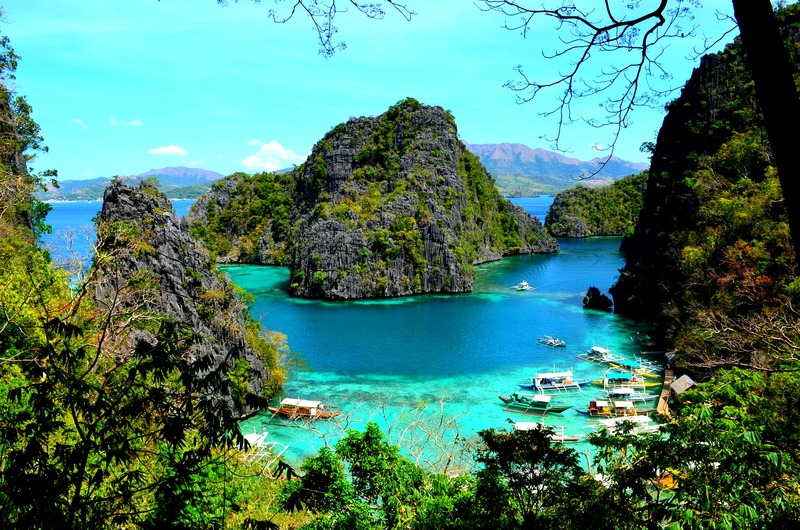 There are over 7,000 islands in Philippines, but they attract fewer tourists than other beach destinations in South East Asia like Bali and Thailand. If you’ve grown tired of the nightlife and crowds, you’ll find serenity in Palawan. Turquoise waters, rare species of animals like the Palawan bearcat and flyign squirrel and waterfalls — there’s so much more to appreciate when you’re not nursing a never-ending hangover. Why you should go: Palawan has some seriously gorgeous underwater caves. Out of more than 200 caves, only 29 have been explored, but only three are open to visitors. It was inside the Tabon Caves in 1962 that archeologists discovered a fragment of the skull dubbed “Tabon Man”, that dates back 22,000 years ago. This city sleeps, so that’s good for some R&R. Look familiar? São Paulo is the third largest metropolis on earth, with a little less foot traffic and yellow taxis. Yup, it’s got the edge of New York with the beautiful culture of Brazil. There’s literally 30 kilometers of car-free bike paths! Just as impressive is any of the 150 museums and cultural centers, 420 experimental theaters, 12, 500 restaurants and 15,000 nightlife spots. Why you should go: New York has China Town, but São Paulo has the largest Japanese population outside of Japan. Unexpected, but true — 400, 000 residents call Liberdade home Japanese immigrants first arrived in 1908 to work in coffee plantations Southwest. Look familiar? Enchanting is the word we’d use to describe Bratislva, where the landscape design of Prague meets the charm of Paris. A stroll along Old Town offers sights of cafes, bars and restaurants where locals are extremely friendly and welcoming. Since Slovakia joined the Europen Union in 2004, the city has been getting more attention from wanderlusters in search of an artistic scene off the beaten path. Why you should go: The Danubiana Meulensteen Art Museum, which gets its name from the river that surrounds it, is anything but a stuffy old museum. The building itself is art; in the same of a Roman galley with trippy-looking art pieces. You can even make a purchase at the exhibit. Any excuse to shop, amirite? Get some fresh air, it’s literally always lovely out. Look familiar? Well, not exactly “familiar”, but if you fancy yourself as outdoorsy and curious, the Zhangjiajie National Forest Park has mountains far more impressive than Taiwan. The picturesque park is located in the Hunan province of south-central China and boats spectacular weather year round — it’s cool in the summer and warm in the winter. All along the forests are lakes, streams, waterfalls and protected species of animals like the Rhesus Monkey and Giant Salamander. Why you should go: A mountain peak here was the inspiration behind the world if Pandora in the movie “Avatar”! If that doesn’t make you geek out, there’s lot of festivals, shopping and architecture to explore. Look familiar? Dare we say, Greece has some competition? Valencia is Spain’s third largest city; a cosmopolitan port on the Mediterranean with beautifully designed properties. Just picture it, Baraque facades, splashing fountains of the Plaza del Ayuntamiento, and the Lonja de la Seda, a masterpiece of a silk market in the style of civil gothic architecture. If you’re looking for some sun and sand, there are a number of untouched beaches (score!) like Malavarosa and El Saver. Why you should go: The City of Arts and Sciences attracts a good crowd, as an entertainment-based cultural complex. There’s the Oceanografic, an aquarium home to 45,000 undersea creatures — now that’s something! Hello, is it Maldives you’re looking for? Look familiar? 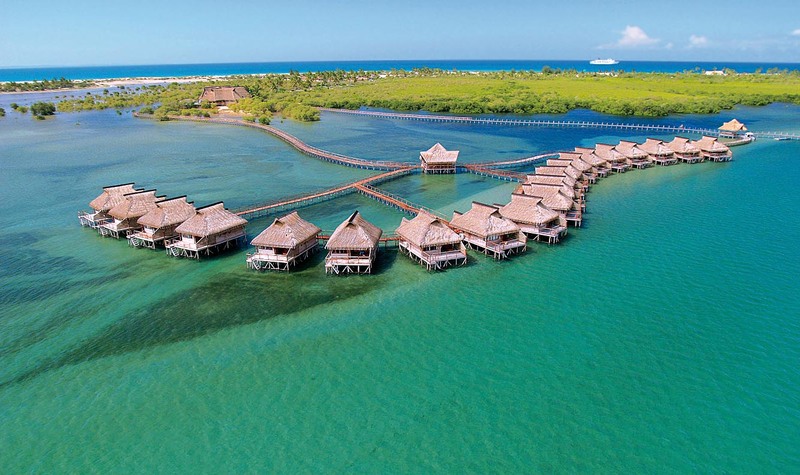 It’s unmistakable, Mozambique is just as pretty as of our own favourites, Maldives. Mozambique is 2,500 kilometers of practically untouched beaches with amazing marine life for snorkeling and scuba diving. Channels along the coast also allow for fishing, particularly for marlin and sail fish. Just like many other spots in this list, culture here is rich, known for its music and art which depict the people’s struggle of 30 or so years for independence. There’s so much you’ll learn about their struggles with pirates, slaves, and gold and ivory hunters. Why you should go: Ever had a taste of Mozambique cuisine? Probably not, and you should! The epicurean scene here is influenced by Portuguese cuisine (from a 500 year long colonisation), so there’s plenty of spicy peppers and fresh seafood.. and peri peri! Look familiar? We love Amsterdam (how could you not? ), but Antwerp has seriously come into it’s own, establishing itself as a style hub that gives other fashion capitals like Paris and London a run for it’s Euros. This is all thanks to a group of avant-garde designers known as “The Antwerp Six”, that spurred a stylish revolution thirty years ago, now rich with a youthful cafe scene and also the Antwerp Fashion Museum. 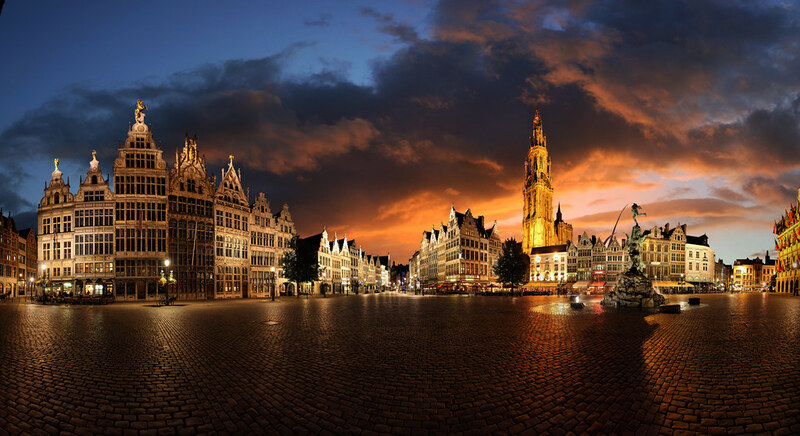 Why you should go: Antwerp has about a dozen Michelin-starred restaurants! There’s Chateau du Mylord that serves a delicious plate of Oosterschelde lobster and T’ Fornuis, a 16th century building turned restaurant with no traditional menu, but a blackboard with that day’s specials.